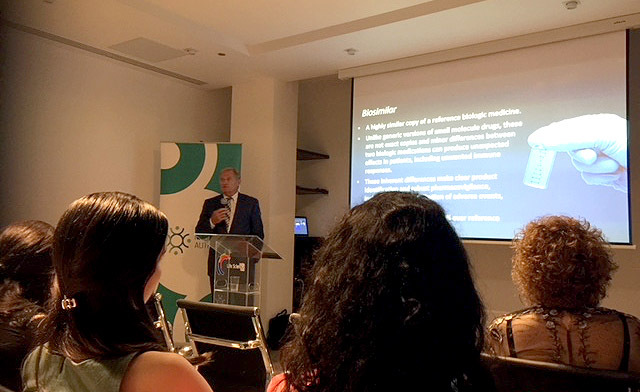 On July 18th, ASBM Advisory Chair Philip Schneider gave a presentation to the Malta Pharmaceutical Association entitled “Biologic nomenclature: Implementation of an internationally harmonized system”. The presentation offered an overview of the state of international harmonization in the area of biologic naming, including examination of the naming policies of major national regulators and views of health professionals worldwide regarding the need for all biologics, including biosimilars to have distinct non-proprietary names. It also focused on the need for Real World Evidence (RWE) and improved pharmacovigilance in a world where biosimilars are approved with an emphasis on analytics rather than clinical trials.